So this is the first time that we are hearing something like this, but Acer’s yet-to-be-announced smartphone, the CloudMobile has already starting winning awards. Acer has said in a statement that the device has won iF Design Award 2012 in recognition of outstanding achievement in design. Yes we have never heard of the device before but Acer has said that the device will officially be unveiled at the upcoming Mobile World Congress (MWC). In terms of specs, we only know that the CloudMobile has a 4.3 inch HD Display, runs Android 4.0 Ice Cream Sandwich, features Dolby Digital sound and is less than 10mm thick and that is all we know as Acer has not revealed any more information. 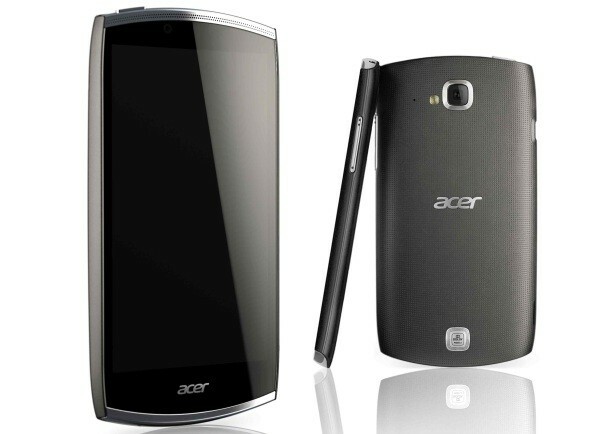 Acer has said that the Acer CloudMobile will be the first smartphone to offer AcerCloud technology, and it “enhances mobile productivity by providing seamless document management”. So this would be interesting to see it in action. After its launch at the MWC, the device is expected to hit markets only in Q3 2012.